Sounds of the Soul Archives » Tekee Media Inc. The books: Lian Husi Klamar Sounds of the Soul :The traditional Music of Timor-Leste and the children’s colouring book, Lafaek halo Festa Lafaek has a Party by Ros Dunlop, bilingual in tetun and english, published, September 2012. 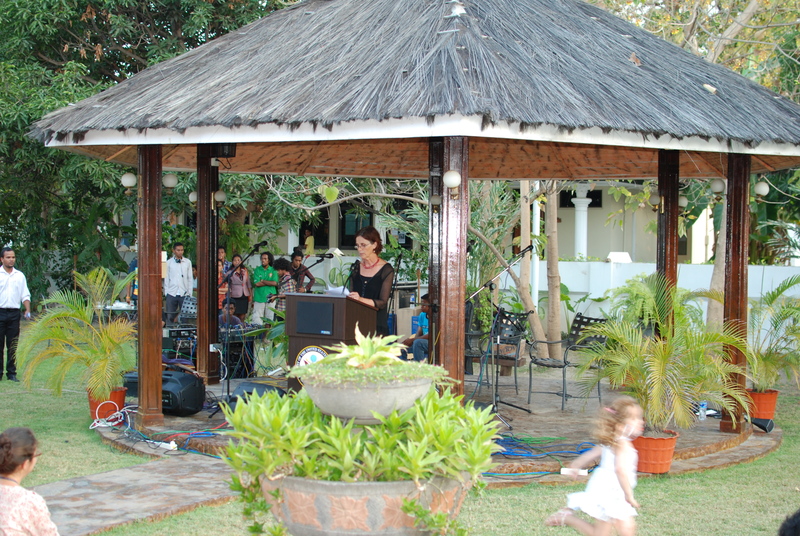 The result of 10 years of research by musician Ros Dunlop of Tekee Media Inc the books and accompanying CD and DVD are available through Tekee Media website: www.tekeemedia.com, Timor at Arte Moris, Hotel Timor, Alola Foundation, Resistance Museum. ETAN and Yohan York (labulak@gmail.com) in the USA, AETA in Australia and various bookshops (Berkelow Books, Gleebooks, The Asia Bookroom, Booksplus, Redback books, and other Independent booksellers). 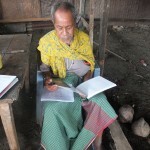 The intention of Tekee Media has always been to give copies of these books to the Timorese in Timor. In January this year I went there and distributed 1000 copies of both books to the Timorese, traveling the length and breadth of Timor. Always a trip to Timor for me has come with plenty of adventures and this trip was no exception. After loading the old toyota land cruiser up with books and several Timorese friends who had been part of so many of the research trips, we set off on the 23rd of January on the road to the south-west with the final destination being Suai. We were in high spirits, dropped books all along the way. We had surprisingly good weather for the wet season. The roads seemed to be as rough as they were on my first trips to Timor in 2002. There was an absence of traffic along our journey, and villages en route were very quiet now that the UN and other foreign peace keeping forces had left Timor. 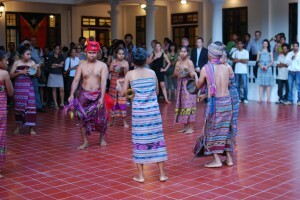 I hardly saw any other malae(foreigners) on my travels through the districts during the following fortnight. Not much has changed for many of these villages since my first trip. Still many of them have no electricity or intermittently, infrastructure is minimal, the roads as terrible in remote villages as they ever were, and many Timorese still walk long distances for their daily water. 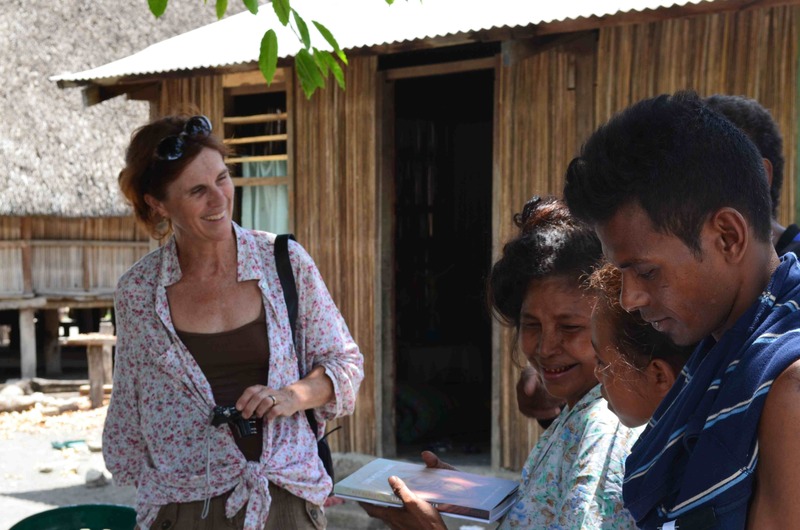 For those Timorese with businesses which serviced the needs of the malae, faces were long as they ponder what seems to them to be an economic slowdown. 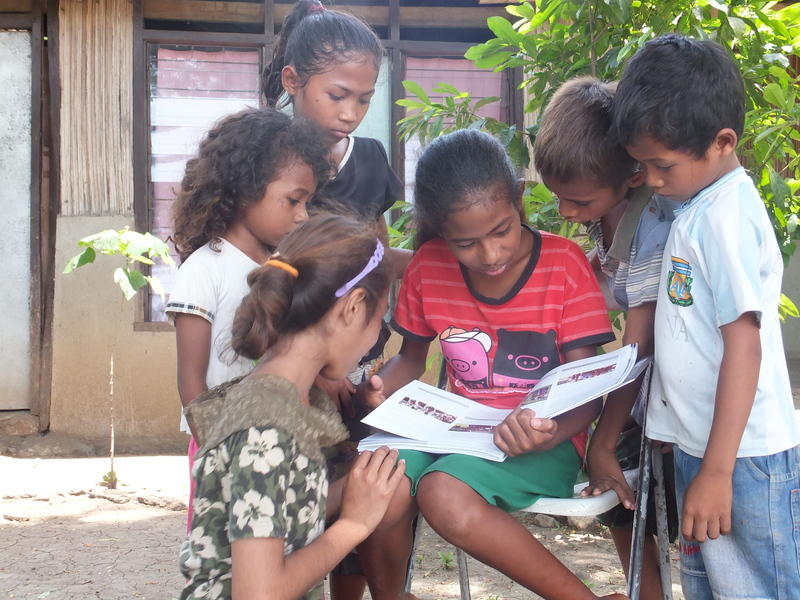 As I gave out the books, and watched Timorese of all ages turn the pages of the book, I wondered how many of them had ever held a book before, let alone one they could keep. These children are from a family who I had stayed with during research in Camanasa I had just given them a copy of the book. It was wonderful seeing so many of the musicians who I had recorded years before, and be able to personally give them a tangible product of their performances. They were amazed that I was back there with a book to give them – and particularly delighted when they saw themselves in photos in the book or the DVD. When we were driving further east down the mountains into Hatudu our brakes failed. Luckily the toyota we were driving was a manual and four wheel drive! I nursed it down that first mountain in first gear low range, gripping the wheel and hoping that we really wouldn’t see another vehicle (we didn’t!). When we got to the bottom we asked some Timorese in a truck if there was a mechanic in Hatudu who could help us, they said they didn’t know anyone and advised us to keep driving to Same for help – I was not happy about that! A teenage boy overheard us and said his uncle was a mechanic and took us to him. 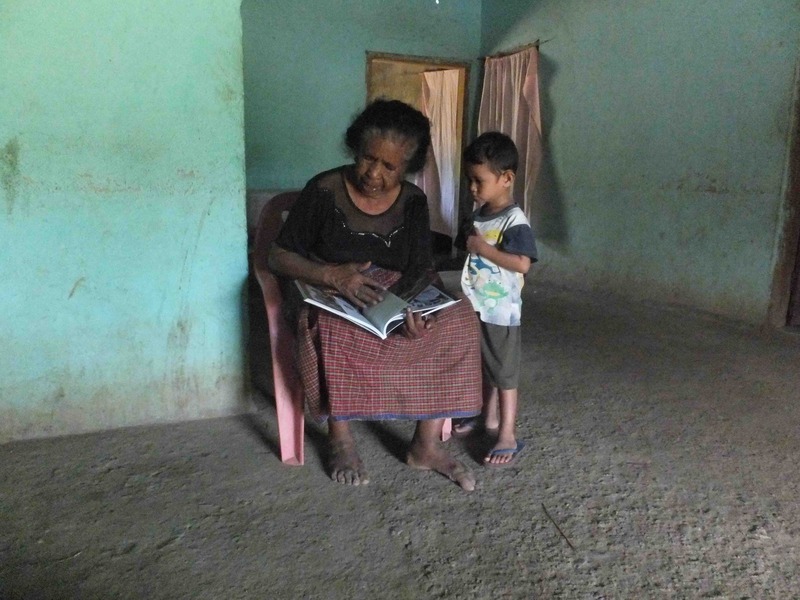 Like so many Timorese in the remote villages I have encountered, they are generous and helpful to a fault. This mechanic turned out to be fantastic and a hell of an improvisor. With hardly a tool, he worked on our toyota for hours and managed to find some glue to do a temporary fix so we could get back to Dili. He apologised for not having any proper tools to do the job. He told us he had worked for 12 years for the UN as a mechanic and that he was sure if we took our time and kept topping up the brake fluid we would make it back to Dili. Three litres of brake fluid and a day and half later we limped into Dili, we might have broken a record for the slowest journey from Hatudu to Dili,(the distance is not much more than 160 kms). The final mountain down to Dili took us 3 hours to negotiate. Our nerves had taken a beating on this journey, but we had managed to distribute more than 300 books to that part of the country in spite of the obstacles. Two days later with the brakes fixed and after meetings to organise book distribution to some places I would not get to, due to time constraints, we reloaded our toyota with hundreds more books and set off along the north coast to the east. I had been assured by a friend of mine that the lia na’in (cultural custodian) from Fatulia near Venilale, Salvatore Pereira was still alive. He had shared so much of his knowledge of the musical culture in his area with me over the years, and now he was very old and frail. I so much wanted to give him a copy of the book myself, and now it seemed I could. This meeting was the personal highlight of this trip. 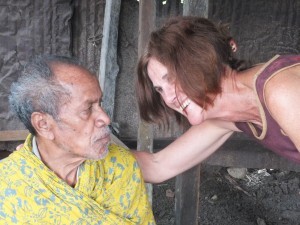 When I arrived to Senor Salvatore Pereira’s house and emerged from the toyota with a copy of the book, he saw me coming and struggled out of his chair and held one hand out while he steadied himself with the other, when I gave him the book he hugged it to his chest with tears in his eyes. In our first meeting he told me that the traditional music would die with with his generation I promised him that I was going to write a book documenting the music, I think he hoped rather than believed it would happen. He said to me with a big smile on his face, “Thank you, now our music won’t die after all, I am so happy”! We continued our journey down to the south coast through the Vikeke district, negotiated potholes and stony roads, and to top it off bogged for half a day on the mountain in the village of Babulo situated near the south side of Mt Matebean and in spite all our efforts remaining bogged. A group of farmers came along and hooked a rope up to our toyota and as they heaved on the rope they sang a tebe (traditional dance) they leant back on the rope and pulled then simulating the movements of the tebe stamped their legs and pulled harder as the song progressed. I forgot I was supposed to start the engine, I was spellbound by their song and actions, here was the traditional music in its practical usage – to help ease the workload! However, their singing was in vain the truck didn’t budge! 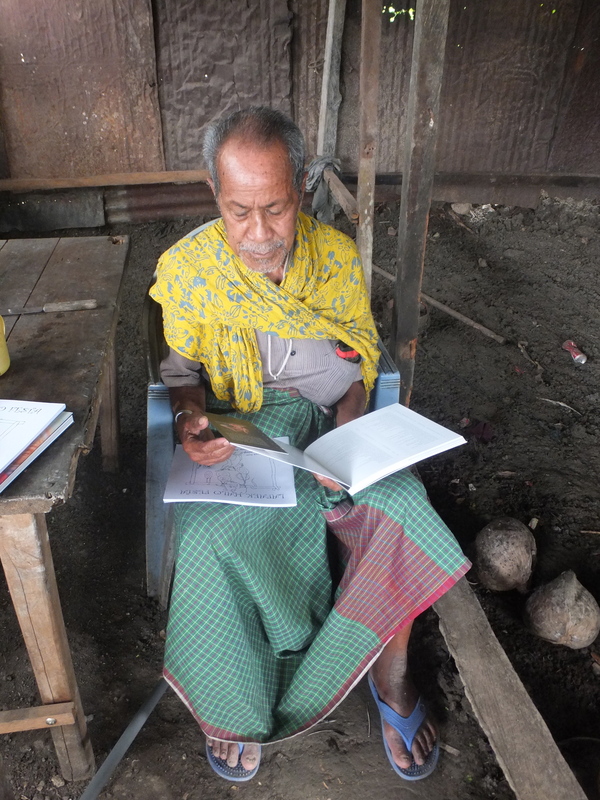 While we pondered how we were going to escape the muddy bog I decided to take copies of the book up to the Xefe (village chief) who had six months earlier been such a wonderful host to us when we were gathering information for the book. He was in Dili, so I left copies for the schools in Babulo and also got his contact details. When I went back to the toyota my friends and the local villagers told me that we needed to contact the Xefe who could organise help (the local roadside assistance service!) but no-one knew the Xefe’s number, I laughed and told everyone I had just got it!, So we phoned the Xefe in Dili, and he phoned a trucking company down the bottom of the mountain and called us back to say help was on the way. Half an hour later with reggae music pumping loudly from inside the cabin a huge yellow truck appeared, hooked us up with a cable and plucked us out of the mud as fast as a cork being pulled out of a bottle! We headed for Iliomar after that, two hours along the road we were stopped by a huge tree that had fallen over the road, we tried to build a stone bridge over the tree so we could drive over it! Needless to say due to our poor bridge engineering skills we had to admit defeat and retrace our steps back to Baukau, which added another ten hours to our trip. We arrived in Baukau after midnight and camped on a friend’s verandah. We resumed our journey east the next day on the north coast road this time – truly the best road in Timor! Near Los Palos I called in to see Justino Vallentim who had helped so much with the fataluku songs and culture, and was about to start the fataluku translation of the book. He he grabbed me by both my shoulders and said “the book is wonderful, just wonderful!” I grinned back and said – “this was a community project my friend!” One of the final drop offs was to a musician and director of a music group in Los Palos. He was astonished to see me, he smiled broadly and said “you came back! malae never come back, they take what they want of our culture, make money from it, but they don’t give anything back,” to which I replied, “ I was always coming back and I will always keep coming back”! Copies of the book are now in the libraries, many of the schools, lia na’in, Xefe suku and with the many musicians throughout Timor who gave their knowledge, time and performances for recordings. 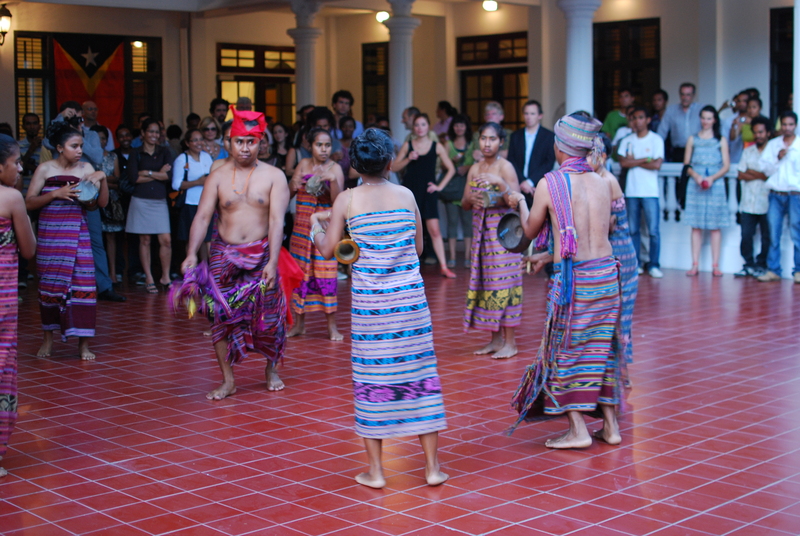 The response of the Timorese to the book has been gratifying and overwhelming, I am proud to have been able to be of service to the Timorese people in the writing of this first book on the traditional music of Timor. 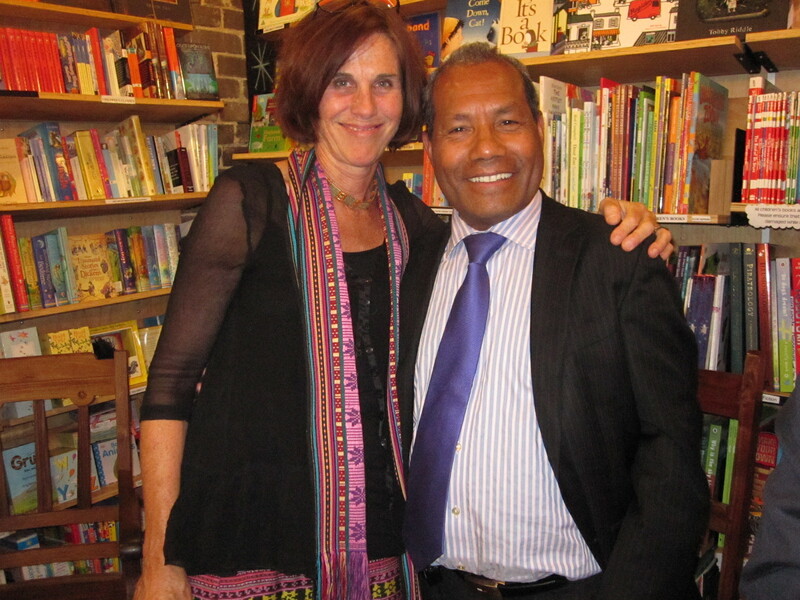 The book was launched in Dili, East Timor (September 2012), Sydney Australia (October 2012) Blue Mountains, Newcastle, Bathurst, Canberra. In Darwin, Melbourne and Ballarat in 2013. The book continues to be ordered world wide. 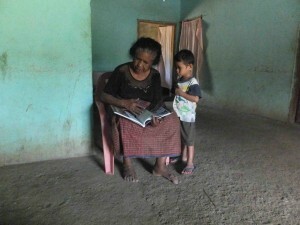 The Timorese now have access to the books as a result of the distribution drive in January. Plans a foot for a mass printing of the children’s book Lafaek has a party so that children throughout Timor can have copies of this book. The Teacher’s college in Baukau is already creating teaching programs using the material in the book. Translation of the book into fataluku and Baikeno is in the pipeline, as Timorese from these ethnic groups don’t really speak tetun. 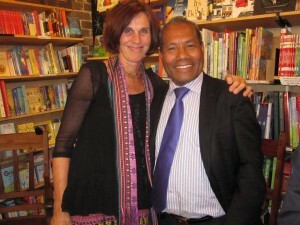 Thanks to the U.S Ambassador’s fund for its support enabling the publication of the first book about the traditional music of East Timor Lian Husi Klamar Sounds of the Soul.